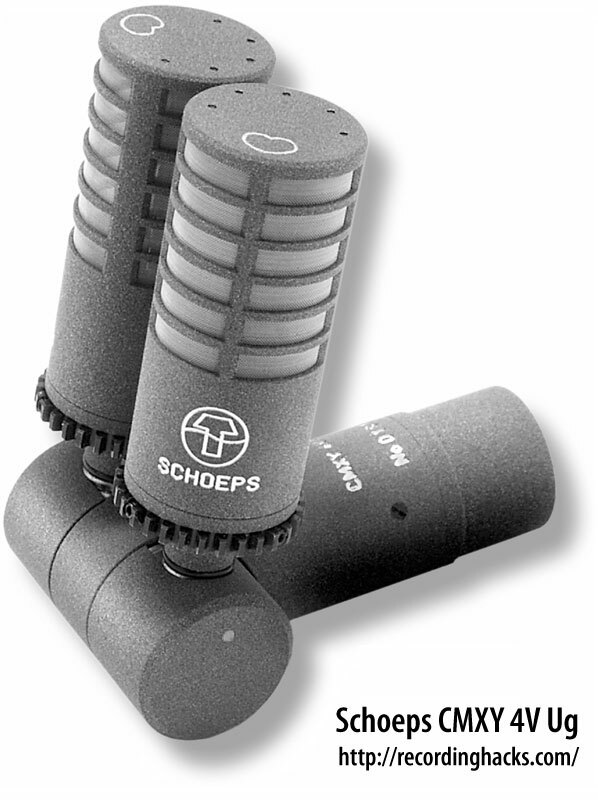 The CMXY 4V is a unique stereo microphone, based on a pair of the MK 4V side-address cardioid capsules from the Colette system. The capsules are mounted as close together as the housings allow, with a 21mm distance between the center points of the capsules. 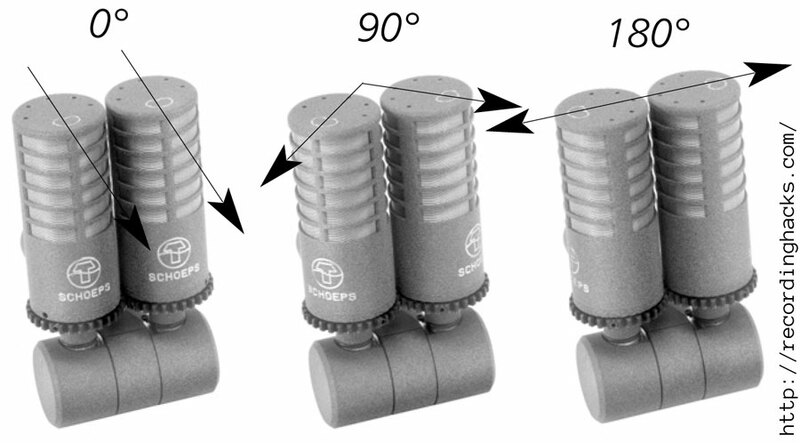 This allows for effectively coincident stereo recordings, and likely superior stereo imaging as compared to stereo microphones in which one large-diaphragm capsule is mounted atop the other. The MK 4V is a small-diaphragm Cardioid capsule in a 20mm housing. Its frequency response shows a mild presence boost of +3dB at 9–10kHz. The angle between the capsules’ axes can be adjusted continuously between 0° and 180°; a gearing system rotates the two capsules in unison (in opposing directions). 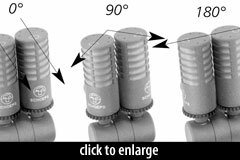 This mechanism ensures that the front of the microphone is always at the center of the stereo field. The amplifier circuit, like the CMC6, operates on either 12V or 48V phantom power. Also like the CMC6, it has a balanced transformerless output. The CMXY 4V Ug has a 5-pin XLR jack (XLR5M), and includes a splitter cable (p/n AK SU/2U: XLR-5F to 2x XLR-3M). The CMXY 4V Ig uses a shortened housing and a miniature output connector, and ships with an adapter cable whose output is an XLR-5M. 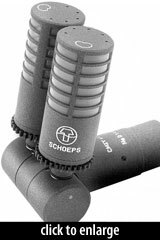 Optional accessories include a foam windscreen (p/n WMS), an elastic shockmount (p/n A 20 S), and an oversized metal-mesh basket enclosure (p/n WSR CMXY) that holds the entire microphone assembly and a modified A 20 S shockmount. The Schoeps Mikrofone CMXY 4V is also known as: CMXY 4VU, CMXY 4VI.